Mostly Positive (145) - 79% of the 145 user reviews for this game are positive. The latest Unfortunate Spacemen update brings questions... and answers! Will you finally meet the company CEO? What will become of poor Steve?! All this and more will be answered in co-op missions 3 and 4! 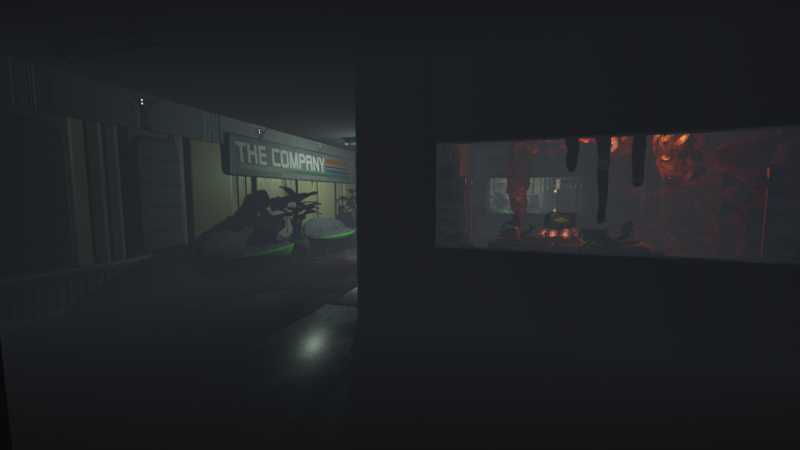 Ironsights, Monster AI, New Map! Zag here! You better buckle up. :) These are the largest patch notes ever posted for Unfortunate Spacemen. And just in time for the holidays! I just want to take a moment to thank everyone who's been playing the game, reporting issues, leaving feedback, and supporting our efforts! We're nearing 1.0 and really starting to lock things into place -- and then looking towards our plans for the game's future! I may still try and drop a dev vlog for you, but as you'll see as you scroll on, I just haven't had the time! Enjoy this enormous update. Lots of love went into it, and I hope it shows. Let's dive into the major changes that have arrived with this update! New Experimental Feature: Shapeshifter Monster A.I. In Shapeshifter mode, the Host can now select whether or not to make the Shapeshifter a bot! That's right, we now have a (very basic) AI that will provide a challenge or offer up practice to a solo Spaceman or groups of them. Brings your friends and go on a little monster hunt! This feature is considered "experiental" and in development, and we're planning to make it a bit smarter over time. This first version is really a test-bed for the idea, so let us know what you think! One of the biggest issues with Dedicated Servers right now is that you weren't able to pick which map you were playing, and often got stuck with The Experiment multiple times in a row, even though I know it's totally your favorite map. But no longer! You can now click on the map image and vote on whichever map you want. The dedicated server is forced to listen to the majority and will select the map you and others choose most. Bringing Spacemen in line with, you know, first person shooters, you can now aim down sights on most of your weapons, including new scopes on the Assault Rifle and Railgun! This increases accuracy by roughly 40%, and some of the non-ADS weapon spread has changed to accomodate this. You can also deal 25% additional damage by hitting other Spacemen (or the Monster) in the head, whereas before, headshots didn't really do anything different. This was a design choice we overruled with the advent of ADS, making accuracy a far more important thing than it was before this update. On top of that change we did some major improvements to the head hitboxes. Aim true, Spacemen! Bullets and footsteps now react differently to different materials. Small, but nice, and long overdue! Deployable Gear Items were previously placed by mashing the 3 key and hoping they ended up where you wanted. Now, the Tripmine, Sentry Turret, and Suitcase Nuke, will cause your character to enter "Deploy Mode," showing you exactly where you can place these objects, with a nice little blueprint hologram. This should prevent a lot of errant placements of key items. Cameras were slowly sinking into uselessness, having not been tweaked or buffed for quite some time, and really providing little to Spacemen (except providing an opening for the Monster to ambush you while you were viewing them.) Now, Security Cameras will alert everyone when they detect the Monster (in Monster Form) and sound a 10-second alarm. The Monster can counter this by destroying the cameras and being careful when and where they reveals themselves. Bodies can now be charred by the flamethrower, to better hide whatever crime might have occured. The Void Beast received a brand new egg! The Void Bomb is planted in lieu of a Parasite Egg and will blast anyone - even the Monster - who wanders near, Electrolocking them for a short duration. If you have Acid Monster AND Void Beast, you will plant Void Bombs. This is one way we're also balancing Acid Monster and Void Beast together, arguably two of the strongest perks at present. We'll be keeping an eye on this balance as we progress. The Acid Monster can now press right-mouse-button to fire a little, acid-filled projectile -- similar to the one you might see flying at you from the green Spitter Drones in the Story Missions. It's slow, but it hits an area and hits pretty hard when it does. Alongside the tunnels that wind this wintery vale, something else twists itself through ice and snow. We teased it in October and now it's finally here! 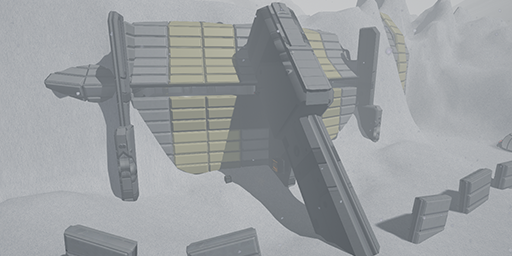 Returning from the cold grave of our earliest Beta builds, the Shapeshifter map Snowswept has been completely updated and overhauled, both in terms of visual quality and traversability, and re-added to the map pool! The map has been completely overhauled with 100% less long-hallways, and 100% more fun! 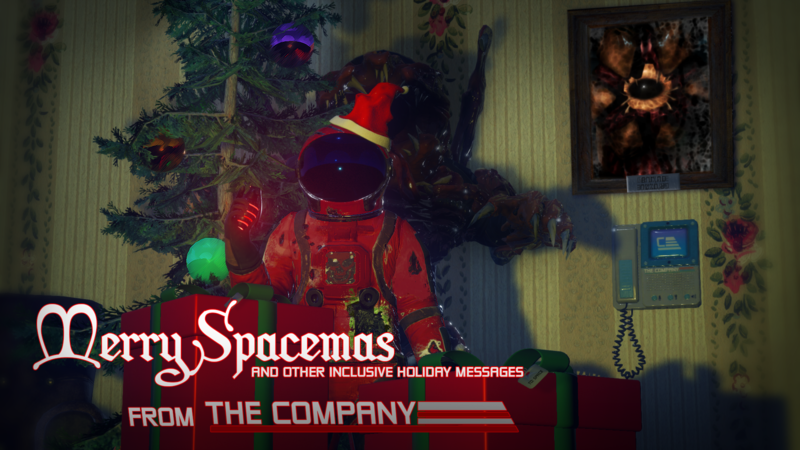 Today, Unfortunate Spacemen is on sale for the Steam Winter Sale! So pick up Spacemen for a friend or two! It's the ultimate gift, after all. After today, we're looking at locking down the game for our 1.0 release. First, we'll be deploying a hotfix for a couple of the known issues in today's patch. That won't take long. Then, we're moving on to finish up the 3rd co-op Story Mission, polishing the final features, and plugging in the last few things we need to make sure the game is stable and ready for Free to Play transition. (Don't worry, anyone who owns the game now is going to get a lot of cool stuff when that happens -- and we're not adding much in the way of manipulative F2P nonsense.) We want people enjoying the game, and this is our best way to get it there. Also, we hate money. If you want to follow development and see what plans we have ahead, check out the new Development Starmap, which Zag maintains on the regular. Enjoy the new update, and see you in space this Saturday for the Community Games! And of course, have a very Merry Spaceman, Astronauts! Unfortunate Spacemen is a multiplayer game about space-based murder in space! Spacemen work diligently to be rescued from their failing outpost, but not everyone is who they claim to be... Death is part of life in space, and you're no exception to the rule. Paranoia runs rampant. Shapeshifter Mode: Survive, hunt, or complete randomized objectives to escape, in desolate settlements, arctic outposts, derelict space stations, warp-speed hypertrains, or ancient digsites across 12 distinct alien locales, and up to 20 players per match! As a Spaceman, complete objectives to call for rescue, or go hunt the Monster in packs! Mimic and devour the Spacemen as the Monster from the blackest reaches of the galaxy! Lay traps, disguise as other players, or take them head-on in your devestating Monster Form! Solo / Co-op Story Mode: Fight against the Crumerian insect swarm as you battle with up to 5 friends through the bonus story mode! Solo / Co-op Survival Mode: Survive with up to 9 other friends for as long as you can against progressively more difficult waves of enemies! Proximity Chat: All in-game communication fades with distance from the speaker, so you can roam, sneak, hide, and eavesdrop as you hunt or run from other players! Security Guards (Bots) roam the facility. Use them to help learn the ropes and practice, or just add them for more chaos to a multiplayer game! Rank up through The Company to unlock new customization and perks to customize your look and your playstyle!